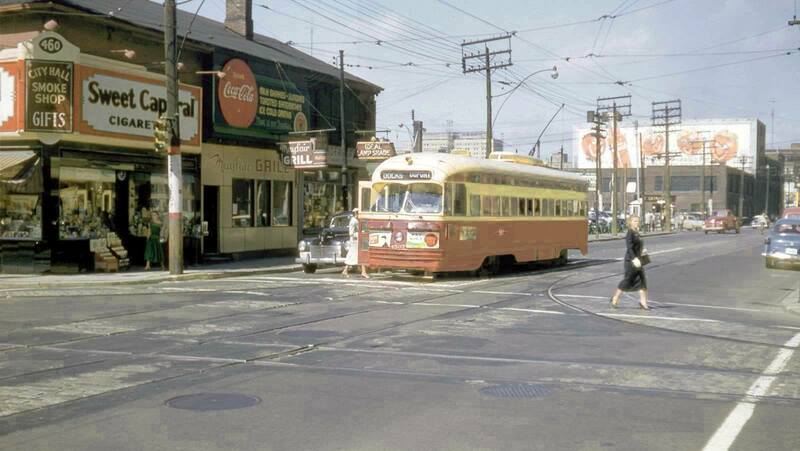 Looking north up Bay across Albert in the mid 1950’s before New City Hall was built. 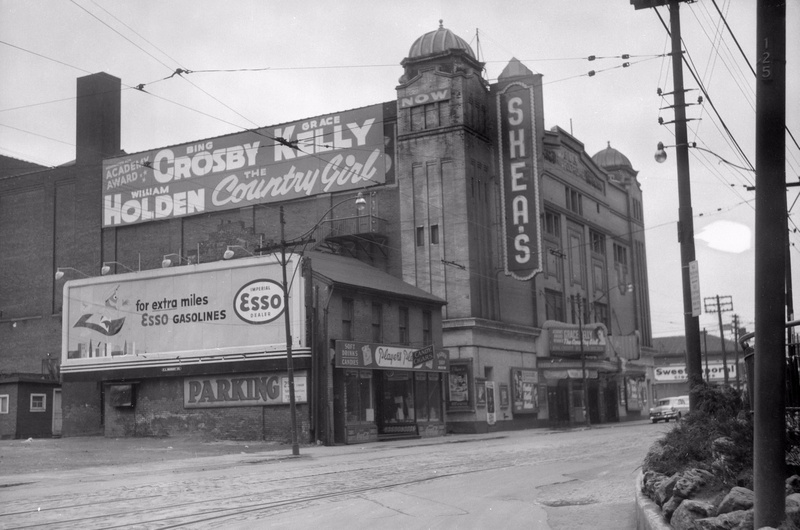 A little further south on Bay looking north past Shea’s Hippodrome Theatre. 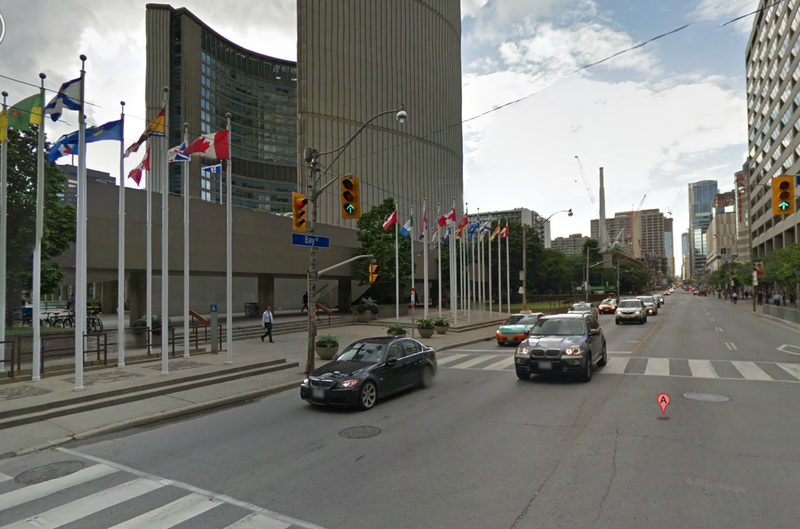 The City Hall Smoke Shop in the first photo can be seen in the distance. 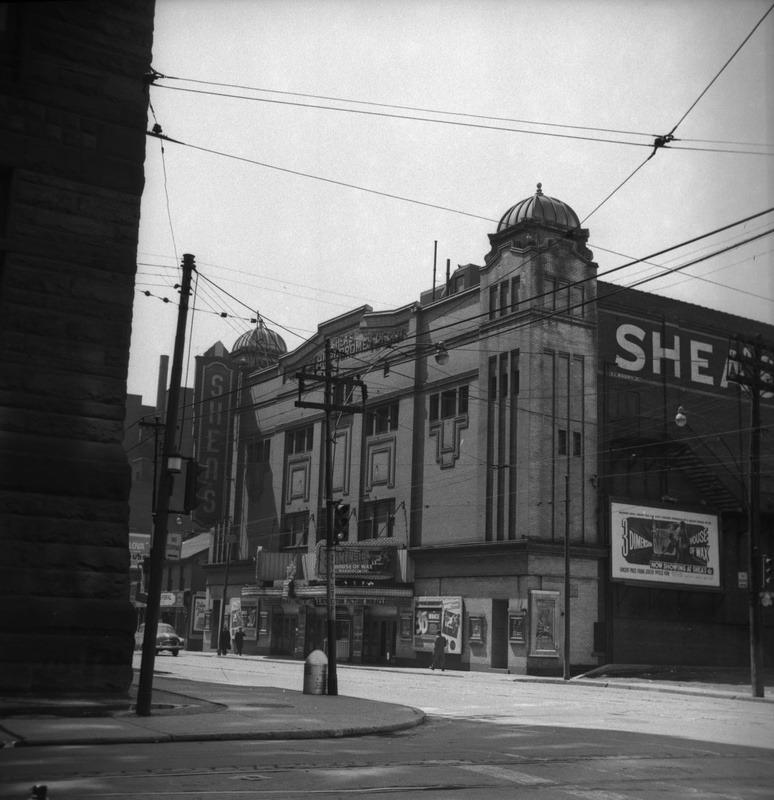 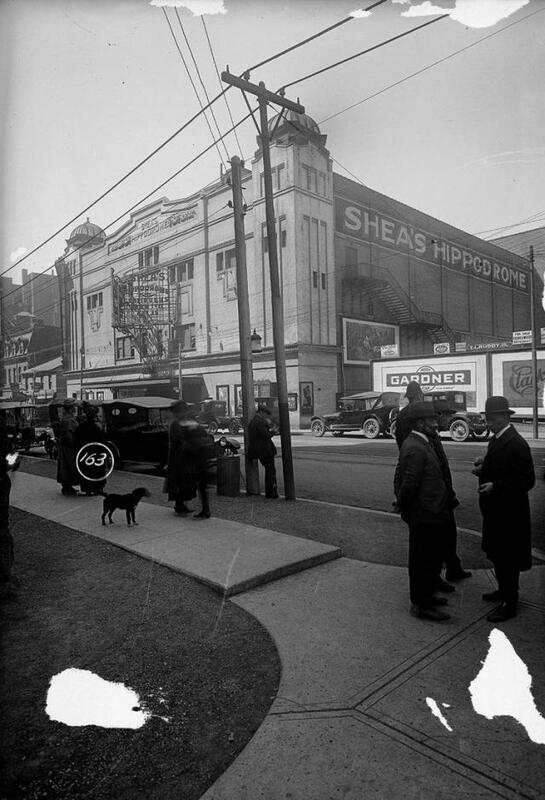 Shea’s was one of the largest theatres ever built for vaudeville, Shea’s Hippodrome was opened on April 27, 1914 with 3,200 seats, and was operated by Famous Players. 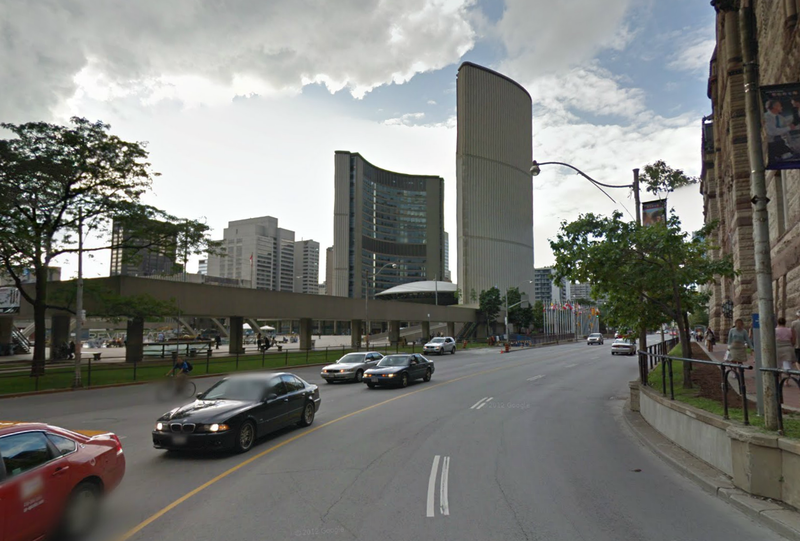 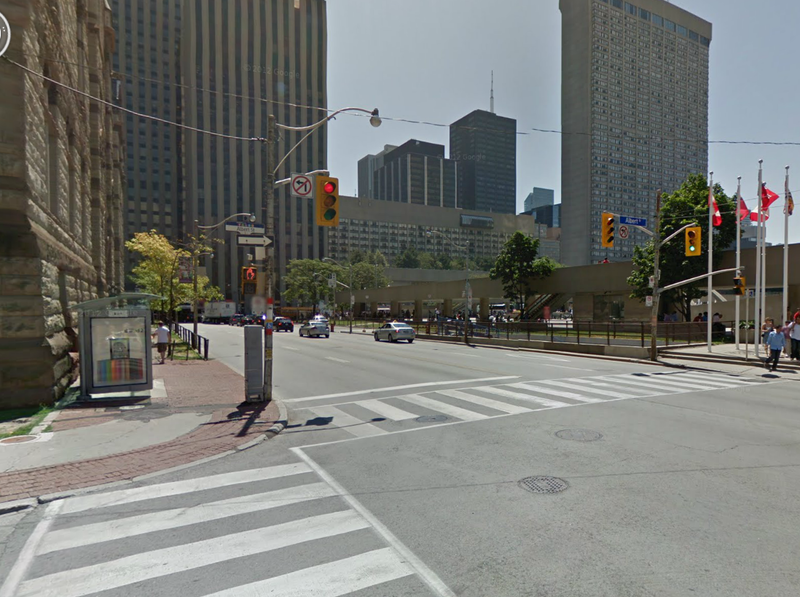 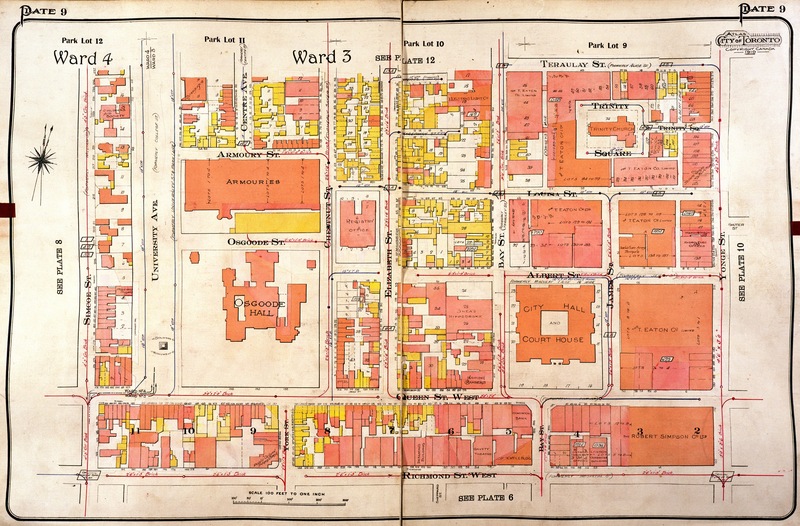 It was demolished in 1957, along with many other buildings, to make way for Toronto’s New City Hall complex.